Women are significantly more likely to survive a heart attack if their emergency physician is a woman, new research reveals. And the research showed that the gender gap for patients treated by female physicians was only about 0.2 percent: 11.8 percent of men died, versus about 12 percent of women. But treatment by male physicians tripled the gap to 0.7 percent: 12.6 percent of men died compared to 13.3 percent of women. "There's been a lot of prior work suggesting that women are more likely to pass during [a heart attack] for a variety of reasons," noted Brad Greenwood, the study's lead author. Why that is is not exactly clear, he added. Prior research suggests that patients generally communicate better with caregivers of the same gender. That could mean that "female patients are more comfortable advocating for themselves with a female physician" or that "male physicians aren't getting all the cues they need to make the diagnosis" when dealing with female patients, he said. Another possible factor could be that female heart attack patients are entering hospitals with gender-specific symptoms that are more readily recognized by female physicians, Greenwood added. Or that male doctors are simply less quick to diagnose heart attacks among women because they think of a heart attack as "a prototypical 'male' condition." Greenwood is an associate professor of information and decision sciences with the Carlson School of Management at the University of Minnesota-Twin Cities, in Minneapolis. His team's findings were published online Aug. 6 in the journal PNAS. During the nearly two-decade study timeframe, roughly 1.3 million heart attacks occurred among Florida's 20 million residents. Heart attacks are currently the leading cause of death among both American men and women across the economic spectrum, and now account for about a quarter of all fatalities in the United States, the researchers noted. And because heart attacks come about suddenly, patients are rarely able to choose their doctor -- or his or her gender -- when entering an emergency department. The study did find two factors that seemed to "protect" patients from a poorer prognosis when treated by a male doctor. 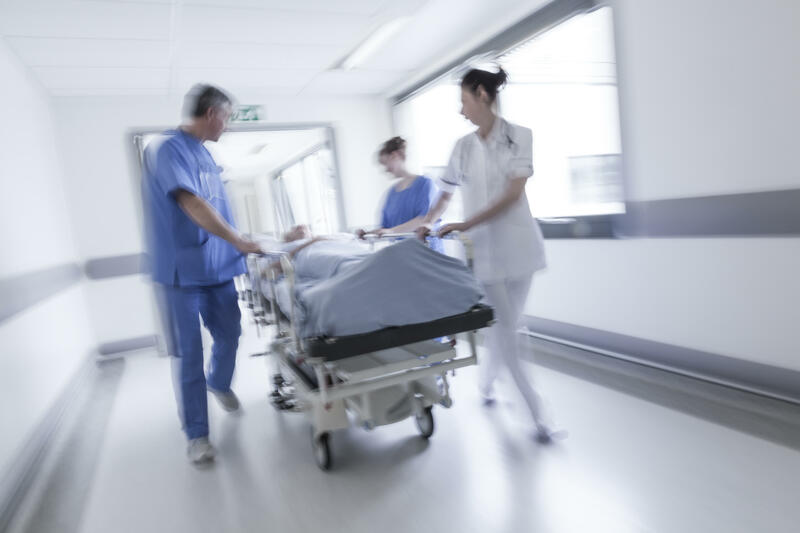 For one, survival rates rose in emergency departments that had a higher overall percentage of female doctors, even if the attending doctor was male. And investigators also found that the more experience a male doctor had in treating female heart attack patients, the better the treatment outcomes. Dr. Nieca Goldberg, a spokesperson for the American Heart Association, noted that a number of factors might be at play. For one thing, doctors may not be spending the time to realize that men and women may have different symptoms, and women may have more subtle symptoms, she said. Goldberg also said gender affects communication style, "and communication -- getting the medical history -- is very important in leading to an accurate diagnosis." In addition, she suggested, "There may be some unconscious bias, or that women physicians spend more time with their patients. This needs to be studied." Goldberg is director of the NYU Center for Women's Health in New York City. © 2018 HealthDay. All rights reserved. This material may not be published, broadcast, rewritten, or redistributed.